Description: match colors, alpha game. hit a wall or another ball. cannot be retrieved once this is done, so be careful. 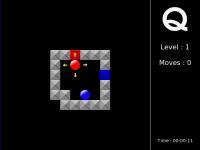 Escape  - Access in game menu. are currently no options to play around with either, so this will be added too. 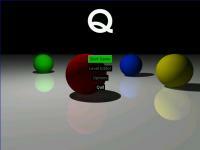 quartet.lha 1.05 2Mb 26 Feb 15 4.1 2 ¤ Quartet - A puzzle game, that turns into a reactions test.